it was Hollywood day and this is me trying to be a celebrity – but frankly I’m not very good at acting like one…which I don’t think is much of a bad thing. I was going to be Audrey, but I couldn’t figure out what to wear, so maybe another year. Today was an adventure, a mixture of good and bad luck. I won’t go into it because it’s a long story and just not worth writing all out. Let’s just say I feel like I’m being tested, and even though things are not going my way, it’s a good learning experience that I hope I will benefit from. Don’t worry if you don’t understand what I’m saying, sometimes I don’t get what I’m saying either. Now to less confusing stuff.. This book is on its way from Amazon! 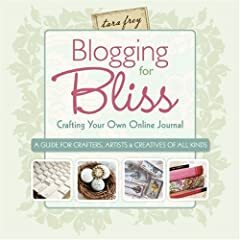 I’m excited to get it, because I really would love more ideas on blogging and all that jazz. How many of you have ever referenced from something for your blog? Alright – that’s it for tonight, I’m tired and tomorrow is another full day of school then work! I noticed a different makeup, am I right? I can't tell if it's the lips or the eyes that's different but there sure is something new. you look beauuuutiful in that look! I'm in love with that coat; and Leah's right...there's definitely something new in the makeup. Is it eyeliner? OOOOH look at you looking snazzy for celebrity day! You're amazing! You look like a real celebrity getting ready to go shopping on Rodeo Drive in casual but oh, so stylish ensemble! Ummm, PLEASE let us know how that book is! It looks so awesome!! haha loving the celebrity snap shot ;) you're so cute! I'm assuming that's your fingernail in the last shot, because if it is.. I LOVE your bubblegum nail polish! Ah I want it! absolutely love your outfit, and that little quote.